DansMark has started cutting edge programming technology. Why use plain blocks when you can use "Smart Drawings" that auto-update the blocks? Smart Drawing is a NEW service of DansMark Software Solutions. In this new millennium, drawing smarter with DansMark "Smart Drawings" may be your best competitive edge! Programs that auto-draw details can be parametrically linked together to automate your whole drafting process! 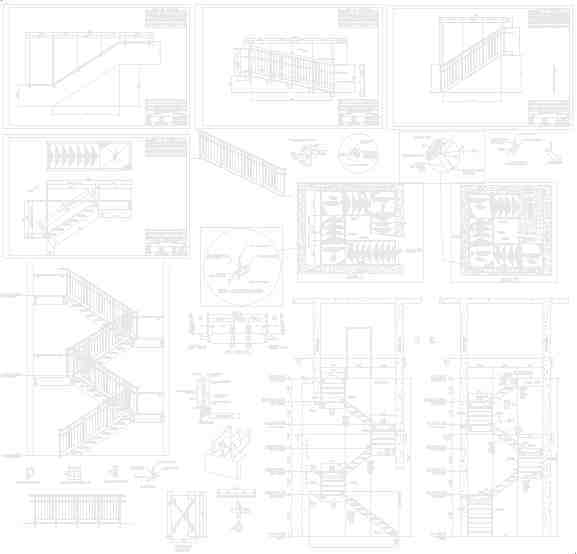 Smart Drawings can help you convert drafting hours/days/weeks, into seconds/minutes/hours! You've got to see this SET of DEMO'S (below), of Smart Drawings that were converted from blocks and details! It's a great way to create your programming, while saving time & money! With this option, entity selection is structured (organized selection). This service will auto-convert your drawing (.dwg) into autolisp (.lsp) code. You get back the Autolisp code that turns your block or detail drawings into full blown "Smart Drawings"! All entity variables are captured, then YOU re-coded to ask users if they want to change the variables from the default. Once the variables are changed "to ask what the variable should be if different than default", just execute the program and cycle through the pre-set defaults and change only the variables you want to change. The Smart Drawing come into the drawing similar to a block, just change the variables you want, and the drawing auto-updates itself to any change in the design, instantly! This service will hand-code ever entity you want to change in your drawing (.dwg) into autolisp (.lsp) code. You get back the Autolisp program, that turns your blocks or detail drawings into a full blown program! Each entity is individually coded, so the code can be sequenced in a definitive order. As each entity is captured (the starting coordinate is captured along with the X,Y,Z distances to the next coordinate-point and linked together), then they are placed in an ordered sequence as variables. Also entities that connect to each other are mapped so the next entity starts were the previous entity ends! nbsp; These entities are relational, in other words, if there are 20 entities connected to the entity that is changed, the other entities are moved according to the new end-point of the entity that was changed (unlike a polyline: Changes to any entity moves all the following connected entities accordingly). 1) You finish/fine-tune the code to suit your needs (adjust/add variables/connect entities). 2) Let DMSS finish/fine-tune the code to suit your needs (adjust/add variables/connect entities/create dialogs/create databases/ect). Simply send your electronic drawing (".dwg", or ".dxf"), to DansMark Software Solutions (by email, or CD), with the drawing(s) to convert. If you want DMSS to complete the code, include a complete description of the final program you would like produced. DMSS can create the ".dcl" dialog(s) for you. Ask for details! DansMark can add all your varibles for you! Even create pop-up & drop-down menus, for the materials! Ask for details. The "Demo", at left, has many examples of Smart Drawing service in action! Also, see "Sample" (at left) of simple/medium/complex block and detail drawings that can be converted into Smart Drawings! Don't forget "More info", at the bottom of the page! Misc. Steel samples of Smart Drawing's Option #1 converting block and detail drawings into Smart Drawings. Link drawings together, using parametric variables! Re-produce your drawing using variables, in seconds. Easily create full blown programs!